Here are just a few ideas that will help you serve up the perfect holiday cocktails. Candy canes provide excellent inspiration for a holiday cocktail. Not only do these candies have that classic peppermint flavor, but they also are a fun visual reminder of the holidays and evoke images of Christmas trees and the traditional red and green colors that are used in holiday decor. To make the drink, all you need is vanilla rum, white chocolate liqueur and peppermint schnapps. 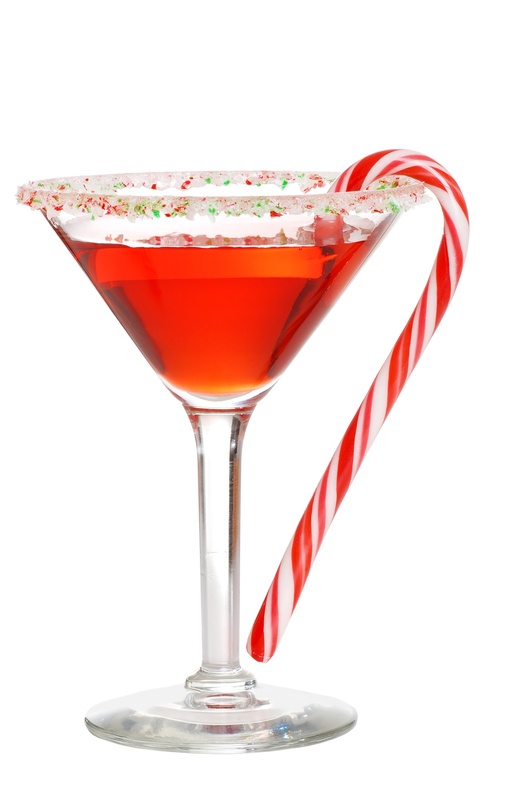 Add equal parts of all ingredients, shake in a shaker and serve it up in a martini glass with a candy cane garnish. This festive drink provides the right balance of sweet richness with a touch of boozy. This classic cocktail can be a little labor intensive, but there are ways to save time and easily serve up larger batches. The most efficient route is to simply buy pre-made buttered rum batter mix. If you want to keep things authentic, then you can always make a larger amount and store it in the refrigerator. The batter includes brown sugar, butter, honey, vanilla, nutmeg, allspice, and cinnamon. You can even form the mixture into a log shape and simply slice off a portion each time you make a single serving. To complete the drink, simply add hot water and rum and muddle the ingredients. This warm cocktail is perfect on cold nights and incorporates all the great spices that are central to holiday baking. 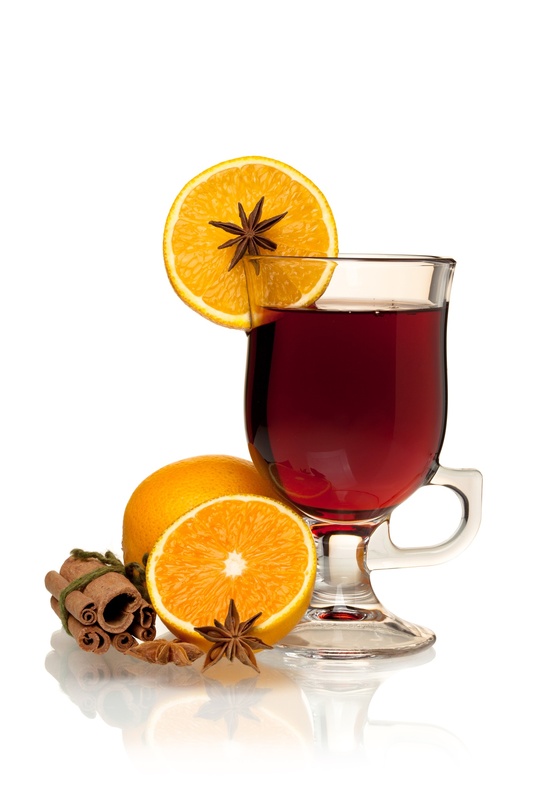 Mulled wine is another seasonal favorite that provides a warm drink that can be made in large batches and served up as a dessert drink. It uses apple cider, red wine, honey cinnamon and cloves to create a perfectly spiced and hot drink that isn't too heavy. It can be easily served up in mugs and garnished with an orange peel for an extra hint of flavor. For a twist on the classic cup of hot chocolate, try adding a little silver tequila and a pinch of chili powder. The added heat of the chili brings out the flavor of the chocolate and creates a more dynamic and interesting drink. All you need is unsweetened cocoa powder and almond milk to complete the recipe. Enjoy a chocolaty drink with a little bit of a kick. We tend to associate fruit with summer drinks, but the winter season also meant that pomegranates are readily available. This super flavorful fruit pairs perfectly with a variety of liquors. The Pomegranate Americano is just one example of a simple recipe that can be used to highlight this cold weather fruit. Mix pomegranate juice, soda water and your choice of tequila or vodka. To add more aroma and complex flavors, pour a dash of bitters on top and lightly stir the drink to gently incorporate the bitters. You probably have your favorite go-to drinks, but why not got the extra mile for customers and mix up some holiday inspired drinks that feature the flavors of the season? The right dessert drink will cap off a meal and make everyone feel festive and in the holiday spirit.